Sometimes a drink with a little bit of fizz is a refreshing alternative to regular water, but you reach for a can of carbonated water, such as La Croix, only to find the expiration date has long since passed. 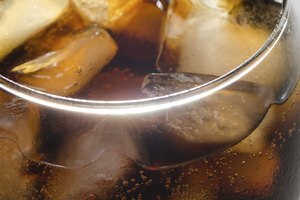 While there are some precautions to follow, most carbonated drinks are fine to consume past their expiration date. Even as carbonated water options have risen in popularity due to health concerns associated with flavored sodas, the two products are quite similar when concerned with expiration dates. Beware of juices, however, which can contain harmful bacteria if improperly stored or consumed past an expiration date. Can You Drink Expired Soda Water? The short answer is yes, you can drink expired soda water. La Croix expiration dates, for example, are typically a best by date stamped on the cardboard box instead of an expiration date. This means that the product is perfectly safe to drink beyond that date, but the taste quality might be diminished. To be sure that a carbonated drink is safe to consume, pour it into a glass rather than drinking it straight from the can. Watch to see how the bubbles fizz, if there are any, and take a look at the color of the drink. If there is any unusual activity, color or smell, pour it out and get a fresh carbonated water. Common sense and good judgment go a long way in deciding whether or not to drink an expired carbonated beverage. If the carbonated drink contains fruit, again, evaluate the appearance and aromatics of the drink. How Long Are Expired Carbonated Drinks Good? Similar to soda, there two guidelines to follow when drinking expired carbonated water: If the drink contains any artificial sweeteners, do not drink it if it is four or more months past the date stamped on the box; carbonated drinks with real sugar can be consumed up to nine months past the date. 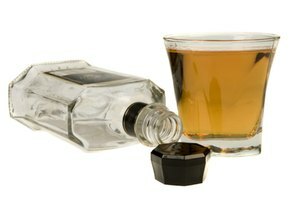 Other drinks such as unopened drinks past the expiration date should be thought through a bit more. No matter how it is packaged, unopened juices can be consumed past their expiration date if properly stored. Those placed in a pantry are good for a year to a year and a half past the expiration. Unopened juices stored in the freezer are safe to consume eight to 12 months past the date. The key is that the container is sealed and not punctured in any way. Again, pay attention to whether or not the juice has an expiration date or a best by date. 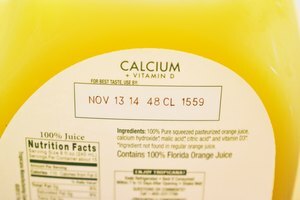 If it is simply a best by date, the juice is likely safe, though it might be past its peak. Give it a whiff before taking a sip to make sure it is not rancid. Drinking expired lemonade is quite similar to drinking expired soda depending on the sugar content. If the lemonade is made with artificial sweeteners, it should not be consumed more than four months past its date. Real sugar can withstand longer periods on the shelf and should be fine up to nine months past its retail date. 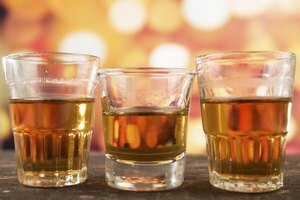 There are a handful of drinks that should be avoided completely if past an expiration date. Any kind of raw drink, be it milk, fruit or vegetable should not be consumed because of the harmful bacteria that can grow in unpasteurized drinks. The only exception to this rule is apple cider because it actually becomes safer to drink as it ages and ferments. Cold-pasteurized drinks are less effective than pasteurized drinks using heat and should also be discarded. Vegetable juices that are pure and contain no fruit juice should be tossed at the expiration date. Fruit juice is higher in acidity which helps prevent food-born pathogens from growing in vegetable juices.